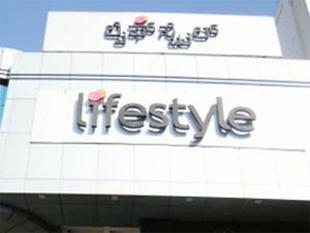 Lifestyle International, the Bengaluru-based retailer, has set a target of becoming a billion-dollar (nearly Rs 6,750 crore) turnover company by March 2017 by adding more stores, a top official said. "This will be the most aggressive expansion for the company post 2010. Our expansion plan is firm, we have been on track. But sometimes malls get delayed," said Kabir Lumba MD Lifestyle International. The company clocked a turnover of Rs 5,700 crore during the last financial year. Lifestyle International operates stores under Lifestyle, Max and Home Center formats across major cities. "We started getting into tier II towns sometime back and we are seeing healthy traction across all regions for both tier I and tier II cities," said Lumba. The company currently has around 230 stores across Lifestyle, Max and Home Centre formats in India. The Indian retail sector is seeing huge competition from e-commerce giants like Amazon, Flipkart, Myntra and Snapdeal. "Overall there is greater confidence among retailers. Earlier, there was threat from ecommerce platforms in terms of discounting, impacting footfalls. But this is diminishing now and is positive for retail industry," said Devangshu Dutta CEO Third Eyesight, a retail consultancy firm.